With fall in the air, so is the crisp smell of apples and the potent cider they inspire. 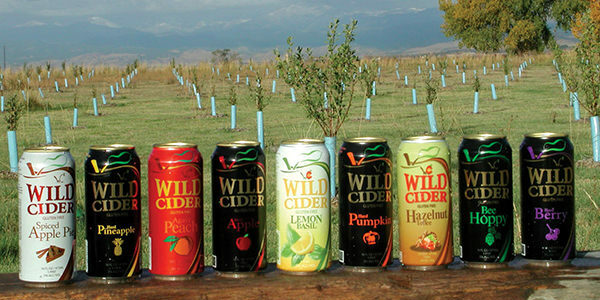 We have the best spots in Colorado for your cider needs! 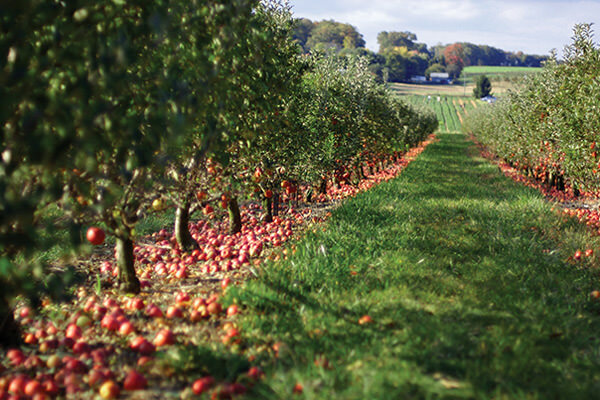 With fall in the air, so is the crisp smell of apples and the potent ciders they inspire. Hard cider has been around just as long—if not longer—as beer in the United States. In fact, many of the Founding Fathers preferred it to malted beverages. That said, cider is still treated like beer’s little brother, especially in a state renowned for its brews. Such attitudes may never change, but a handful of independent cideries and cider bars have recently sprung up across the country with the Front Range at the forefront of the trend. Amid randomly arranged picnic tables and a makeshift pizza oven, Wild Cider’s co-founder Mark Birkin stretches out in a lawn chair under a shady tree behind the farmhouse near Wild Cider’s production facility in Firestone. The scene suggests another lazy Sunday in a friend’s backyard as he talks with nonchalant pride about his cidery. His laidback approach makes sense. Wild Cider began by chance when the founders left a jug of Martinelli’s Apple Juice too long in the refrigerator. It fermented. The taste was unique to any cider they had tried before and thus began their experimentations with apple juice and wild yeasts. Today, Wild Cider is fermented with a proprietary “wild” yeast that ferments for weeks at cool temperatures compared to the wine yeasts producers typically use to get their cider bottled in days. Mark attributes the full apple flavors and aromas to this slower fermentation process and high quality apple juice from fruit grown on Wild Cider’s 14-acre orchard. 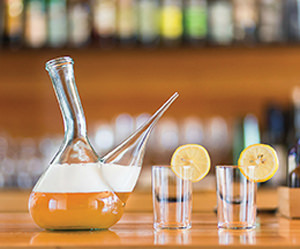 Front Nine: Wild Cider creates an orchard’s worth of fruitful concoctions. The taste difference from other ciders is quite evident, especially in its base product, Apple. The first impression is the tart and somewhat sweet flavor of a fresh apple, skins and all. It balances slightly sweet but is dry enough to keep it from being overly saccharine like many larger, commercially produced ciders. Wild Cider has plenty of rotating taps that showcase fruits, spices, herbs and honey additions. Agave Peach is back-sweetened with peach juice and agave for a mouthwatering, fresh peach flavor and an aroma that leaps out of the glass. When available, the Oaked Cherry cider is a richly complex concoction perfect for long sips, with big vanilla notes melding with deep, cherry flavors that are faithful to the actual fruit. 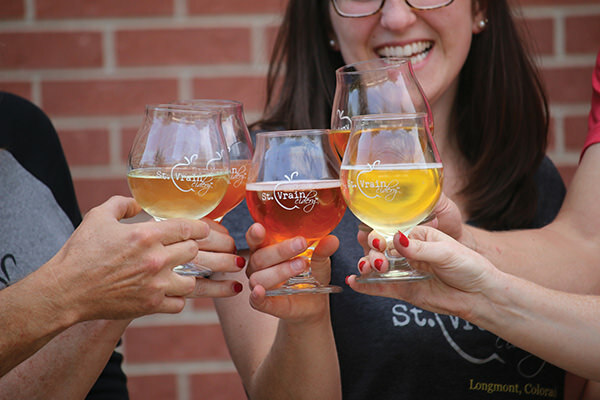 Compared to other commercial ciders, St. Vrain Cidery’s are typically a bit drier. 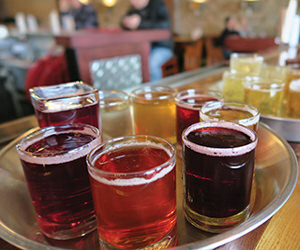 The Longmont cidery also tries to stand out with unique fruit and spice blends such as Dry Chokeberry and Ginger, two of its flagships. The fruit in Dry Chokeberry provides additional tartness and tannins for an extra dry finish. It drinks clean and has some cherry notes to round out the flavor. Ginger is a highlight of the menu with the spice coming across as mildly fruity rather than a spicy burn. Initial green apple tartness finishes with subtle spice. Upcoming flavors include grapefruit, strawberry and hop infusions. A majority of the pre-fermented apple juice comes from another Colorado cider and fruit juice producer, Big B’s, out of Hotchkiss. Most ciders are comprised of a blend of apple varietals, much like the malts in beer. Dessert apples provide the sugars needed for fermentation, while other varieties bred specifically for cider-making provide the balancing qualities of bitterness, acids and tannins. For additional complexity, St. Vrain sources specialty apples such as winesap, bittersweet and sharp from the West Coast. Not a bong: Arcana serves its Basque ciders in authentic porróns such as this. Ample Samples: Cider flights at Scrumpy’s are a must-try. Contributor Cody Gabbard writes CAG’s Tapping In column. Read more of his writing at coloradoavidgolfer.com. This article appears in the Fall Issue 2017 of Colorado AvidGolfer, the state’s leading resource for golf and the lifestyle that surrounds it, publishing eight issues annually and proudly delivering daily content via coloradoavidgolfer.com.